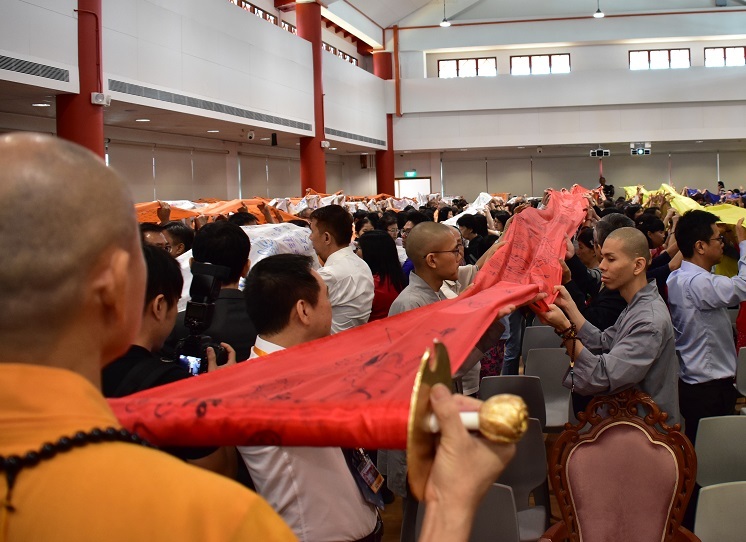 The whole congregation pulled a long cloth printed with all students' handprints to symbolise we are forever connected to Master via learning Lama Tsong's teachings. Everyone recited our vow to learn & propagate the teachings Master Tsong ka- pa. Making a firm aspiration to apply what Master taught in Lamrim is the greatest gratitude to repay our Master and Guru. Our Abbot ended the ceremony by reiterating our gratitude to Master.